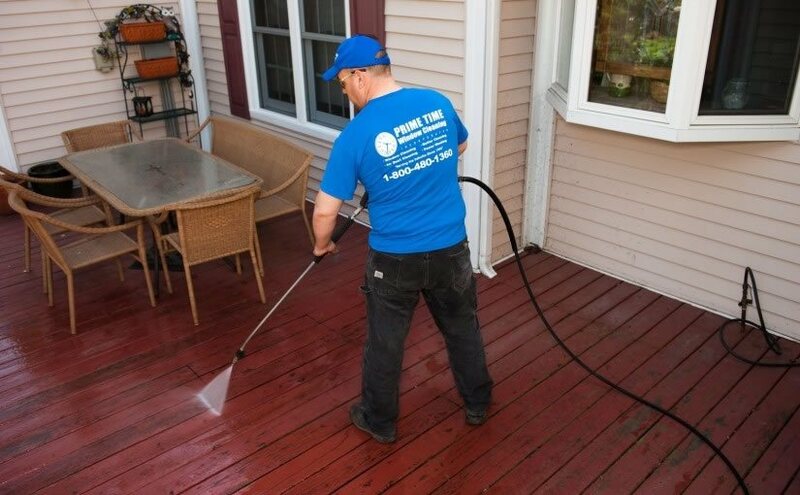 As the #1 company in pressure washing in Chicago, at Prime Time Window Cleaning we know that it’s extremely important to keep your property clean in order to preserve its aesthetic value and maintain its curb appeal. Regular washing also provides protection against airborne contaminants. When mold, mildew and algae remain on exterior surfaces, they contribute to premature paint failure and may permanently stain your siding material, concrete and gutters. Power washing your home’s exterior also enhances its value, adding as much as 5 to 10 percent to the value of your home. Your health is also important. Mildew and mold are not good for your respiratory system and can create or aggravate allergies. If your home is washed regularly, mildew and mold cannot spread and start new growth inside your home. All that said, you may be tempted to try power washing your home yourself, but we can think of a number of reasons why you shouldn’t undertake this task. Water in the walls – You can easily do serious damage by using too much water pressure. If you have any kind of wood siding you may shoot water under the siding, potentially soaking wall cavities, insulation, wiring, sheetrock, flooring and carpets. Trust us, nothing is beyond the reach of these powerful water guns! Damage to wood – It’s very easy to gouge holes in your wood siding or decking by using too much water pressure. Damage to brick and mortar – Many people think that if their home is brick, it’s safe to power wash. Not so, especially if your home is a bit older. Older brick and mortar are not as strong as currently used materials and can be easily blasted away. Repairing the damage is far more expensive than hiring a professional to do pressure washing in Chicago. The danger of lead paint – Unfortunately, lead is often lurking, especially if your house was built before 1978. We all want that lead gone, but power washing using too much pressure is dangerous. Lead paint chips blasted into flower beds and grass pose a threat to you, your children and pets. 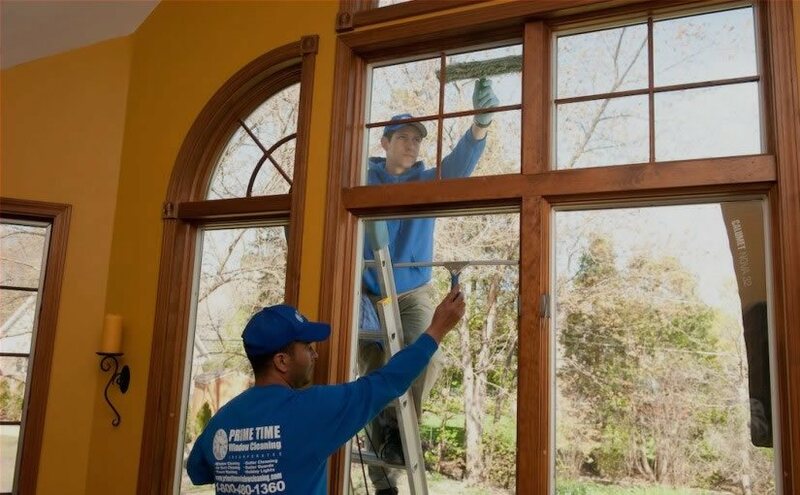 You can avoid all this potential damage and danger while preserving the beauty and value of your home by contacting Prime Time Window Cleaning. Email or call us today at 800-480-1360 for your free, no-obligation quote. House, roof, gutters, decks and driveways, we can do it all, providing the very best pressure washing in Chicago.